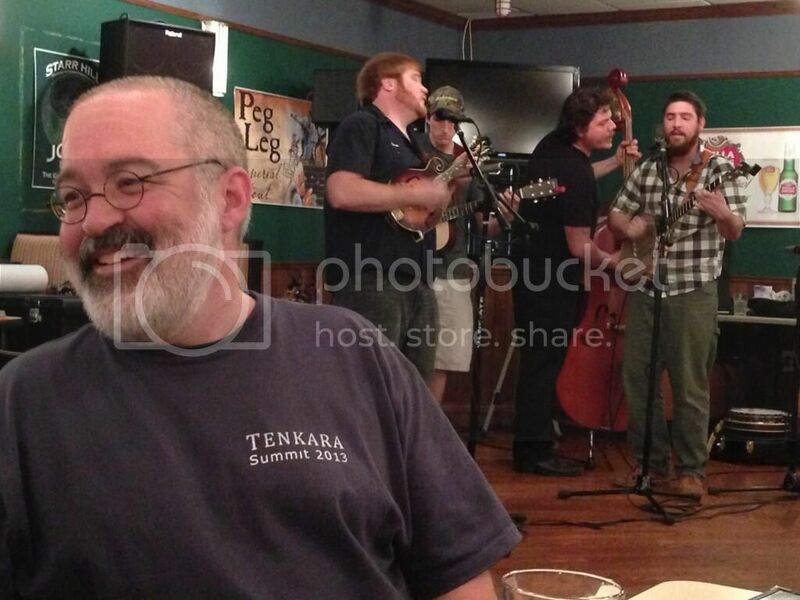 I feel blessed to have attended all 3 Tenkara Summits and #3 in Virginia was a blast. As this blog is being typed, I am just starting to get over a cold that somehow I picked up at the Summit. Seems the art of shaking many hands and talking to so many people can cause one to get the cooties but I am happy to deal with it after a great weekend doing everything tenkara. As most of you are probably aware Tenkara Summit #1 was in West Yellowstone in Montana, #2 was in Salt Lake City Utah, and now #3 was in Harrisonburg Virginia. All 3 were great fun and now I look forward to future Summits to meet fellow customers and tenkara fisher-folk. But… I have now added another goal to strive for at Tenkara Summits. The Art Of Putting Checkmarks Next To Trout On My Bucket List. Going into Tenkara Summit #1 I had no Bucket List that I can remember. 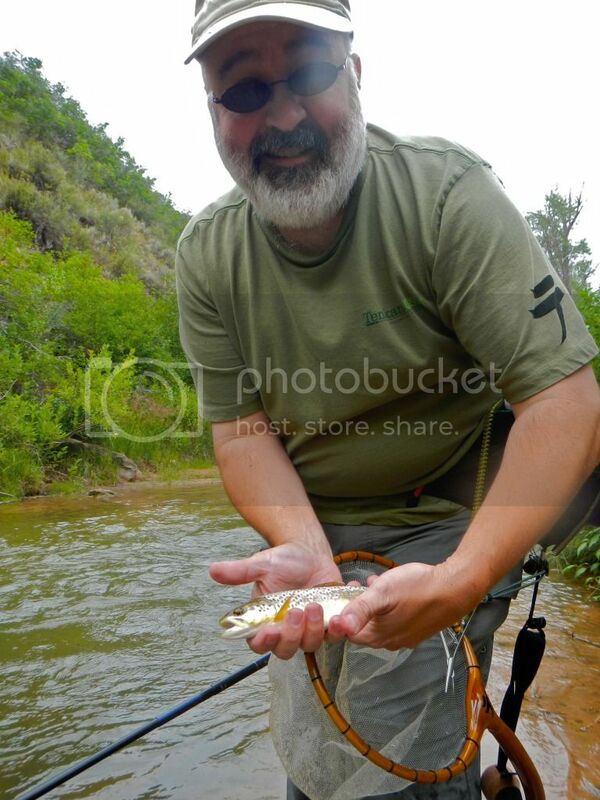 Although I brought my tenkara gear with me I never once fished. I attended the first Summit mostly as a carefree tenkara person that was behind the scenes doing customer support for Tenkara USA. Just that May 2011 I had come off of 2 months of running the customer service department for Tenkara USA and no one really knew me other than those who post on the TUSA forums. I drove all the way from California to Montana with my wife in tow in our newly purchased 2007 Toyota FJ. This was a trip for a few days to explore Yellowstone and meeting tenkara people soaking up as much as I could in that short time. Going to Summit #2 the Bucket List was created but I did not realize it at the time. In 2012 I had become known as the face behind the customer service desk at TUSA and getting to meet more tenkara people was foremost on my mind. Living in California we have tons of rainbow trout and to date that was all I caught. I kept hearing there were tons of brown trout in Utah so I planned on going after my first brown trout. Summit #2 was great and I loved my time in Utah. I came home happy that I caught my first Brown Trout and was already looking forward to Tenkara Summit 2013. I met so many customers and it was great putting faces to names at this event. TJs First Brown Trout caught at Tenkara Summit 2012. Now #3 Summit was here and I had another mission. Mission Brook Trout! I officially had my Bucket List now and knew I would try my best to catch my first brookie. This Summit would be the first time where I could leave the cell phone at home and not worry about a customer paging me while on the river yelling that their computers no longer worked – prior to joining Tenkara USA I worked in IT customer service and had to be within reach 24/7. This time I could venture out and enjoy myself to the fullest. We arrived in VA the day before the Summit and fished that Friday. With very high and fast water from the rains, I was skunked and caught zero fish. Saturday was all about Tenkara Summit Day 1 so there was no fishing for me. 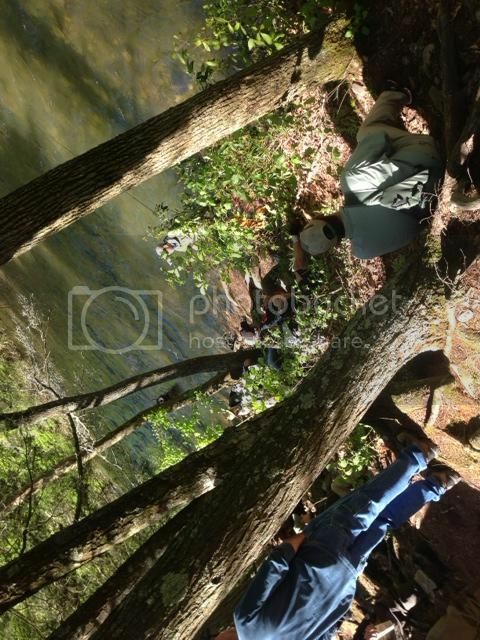 That Sunday though we fished at Mossy Creek where I caught a nice big brown trout but no brookie still. It was looking like that Bucket List would not be appended to during this trip. But, come Monday after the Summit, I finally caught a nice handful of brook trout. How excited I was to be all waded up, working fast moving mountain waters with two friends Daniel and John, and having them see the glow on my face when I landed my first brook trout. By the way, before I forget, I think the Amish and God has something to do with my first fish caught in Virginia. 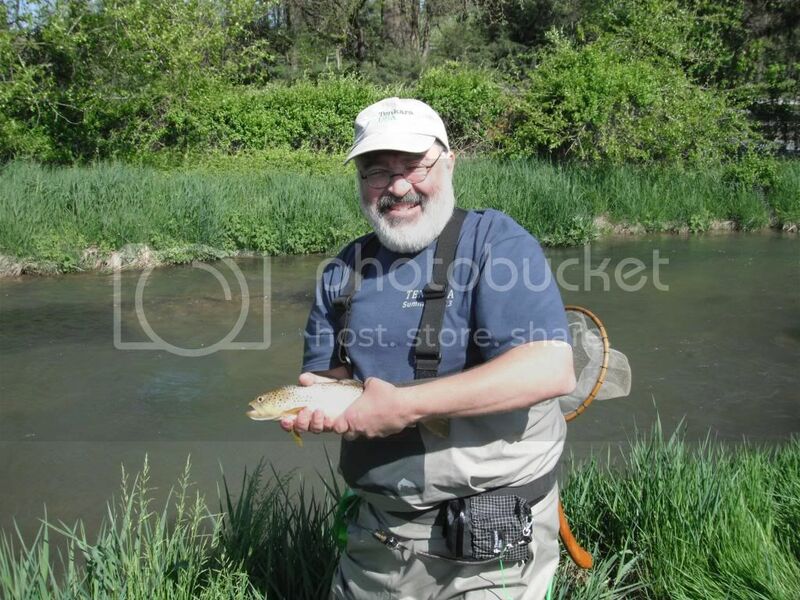 I had been skunked all day and right as an Amish Buggie (yes an Amish Buggy) clippity clopped by Mossy Creek, I felt a huge tug on my line and what appeared was a nice fat brown trout. Therefore I must thank God and the Amish for this first catch in VA. hehehe. 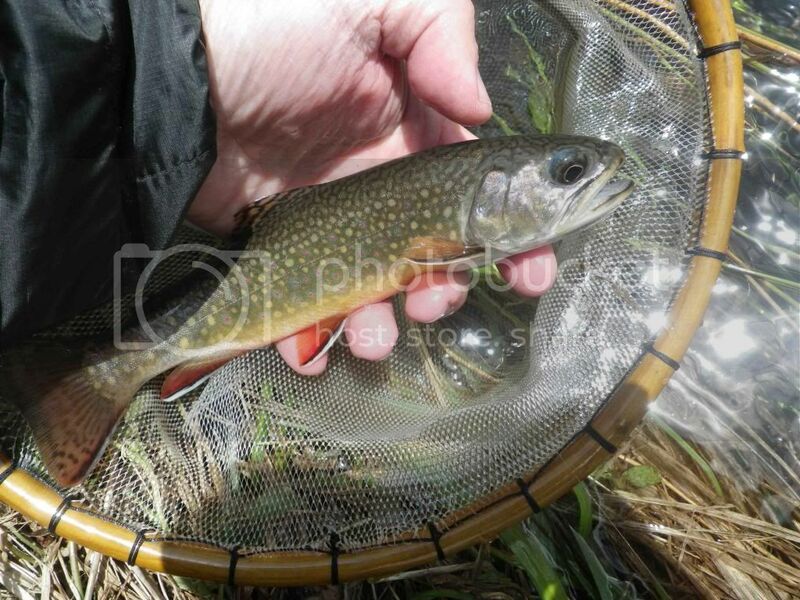 TJs First Brook Trout caught at Tenkara Summit 2013. 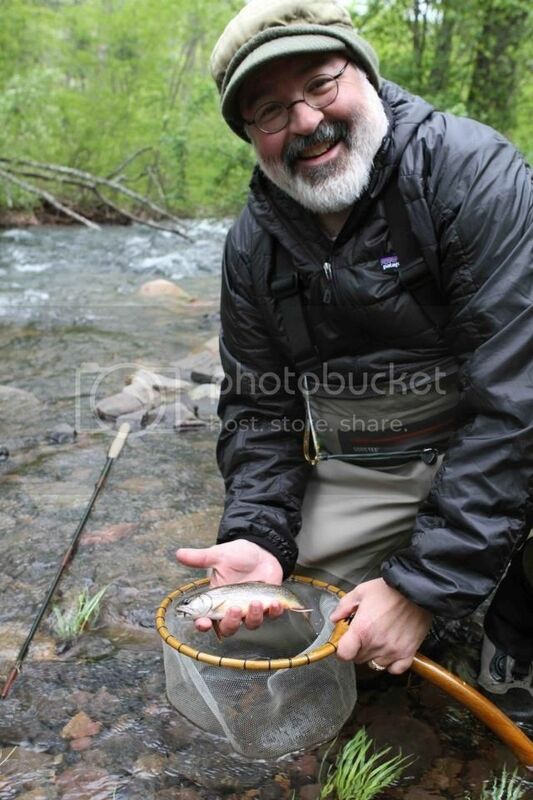 TJs First Trout caught at Tenkara Summit 2013. A nice fat Brown Trout that put a nice bend in my Ayu II rod. If you look back at each of my Summit pictures you will see a common theme. The theme of a huge smile on my face. Not only is it great to attend the Tenkara Summit and meet so many cool people, you have the opportunity of a lifetime to fish water you may not get to again and a good chance to checkmark a trout off your own Bucket List. I hope all those that have attended at least one of our Tenkara Summits have enjoyed yourselfs. I am a firm believer you make a party as good as you want it to be. For me I make it a point to say hi to as many people as I can and make the Tenkara Party a rocking good time. Join us at the next Tenkara Summit, and maybe come with your own Bucket List of trout, or even a Bucket List of meeting fellow tenkara freinds face to face, and help us make the next Summit a great event again. 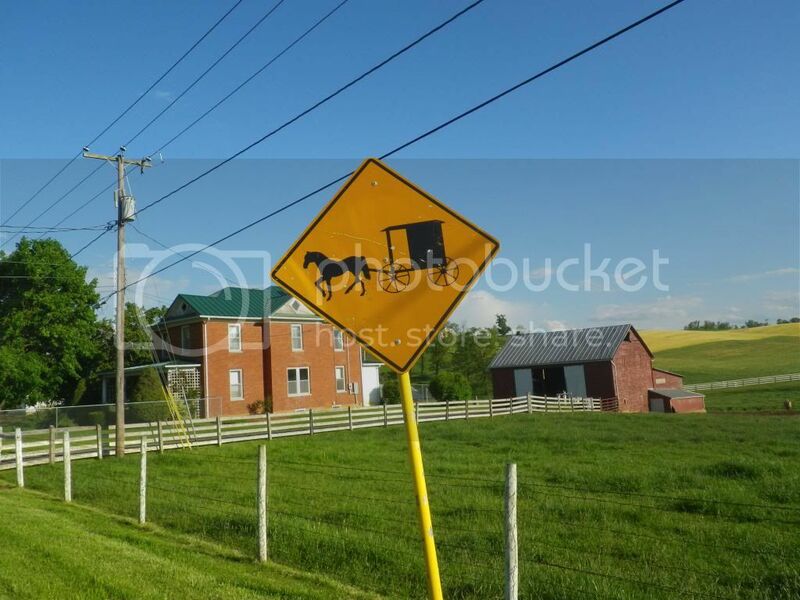 Here are some pictures with captions that will tell a small tale of my trip to Virginia last weekend. I want to say it was great meeting so many of you at the Summit and I came away with even a larger smile on this man’s face for attending this great event. Video doing a Walk-Thru on day 1 of the Tenkara Summit 2013. 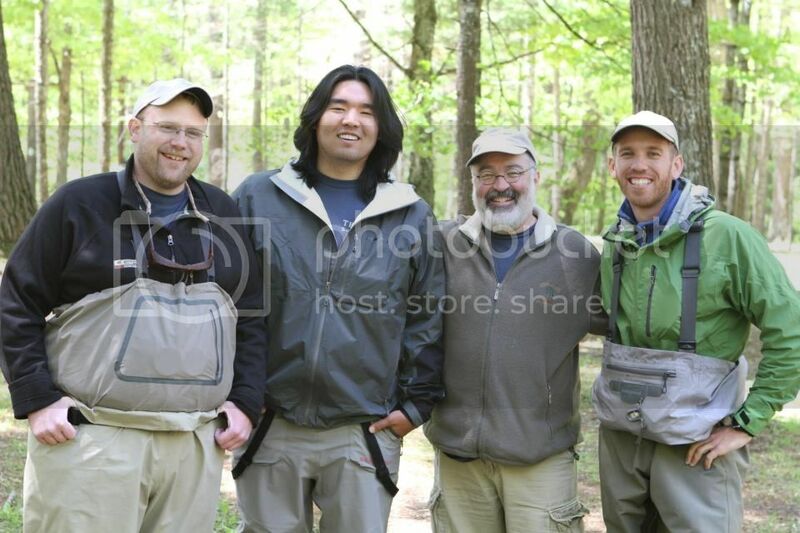 Tenkara USA Staff at the Tenkara 2013 Summit. Smiling is contageous as they say and an easy thing to do at the Tenkara Summits. 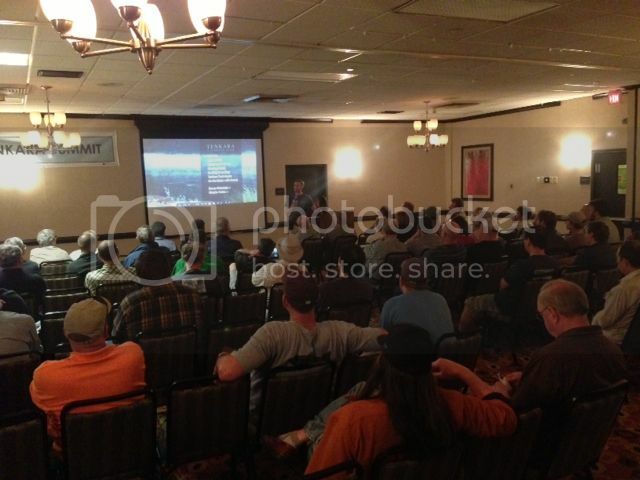 Daniel doing a seminar at the Tenkara Summit 2013. 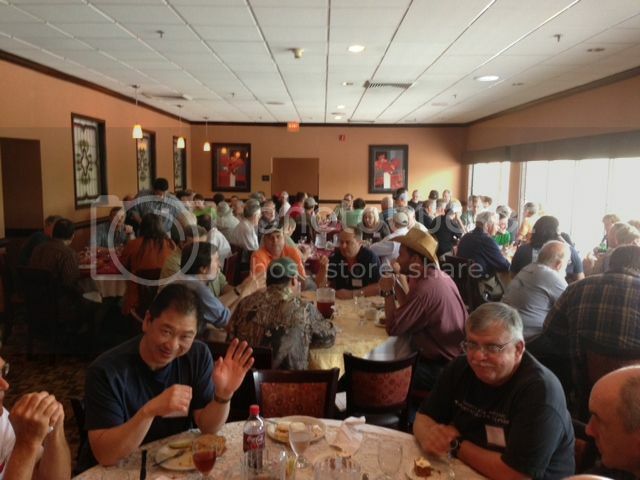 Tenkara Summit 2013 Lunch on Saturday. Everyone was hungry for food and more tenkara info to come after lunch was over. John doing demo session on Sunday at a nearby river. 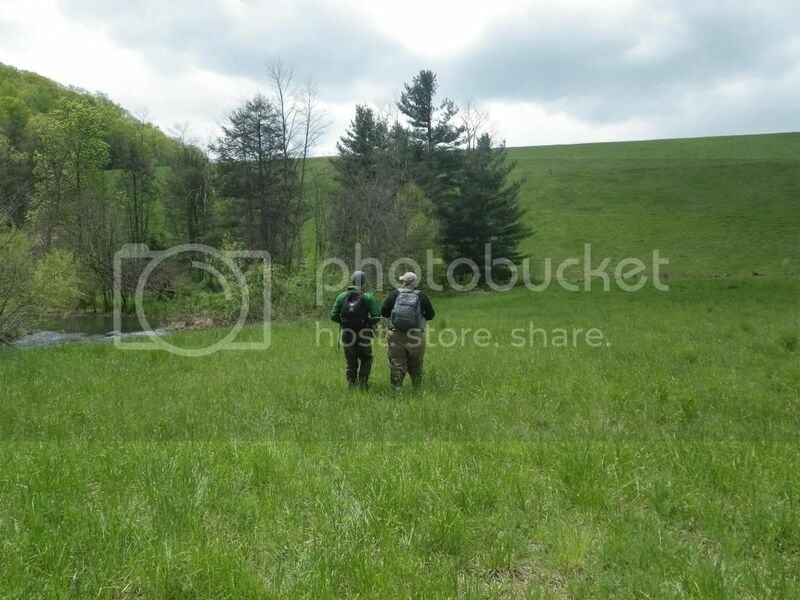 Daniel and John walking in a nice meadow below a dam in VA. I caught my 2nd brookie not far from where I snapped this picture. Close up of 2nd Brook Trout I caught. Real beauty caught on a front-side eddie. 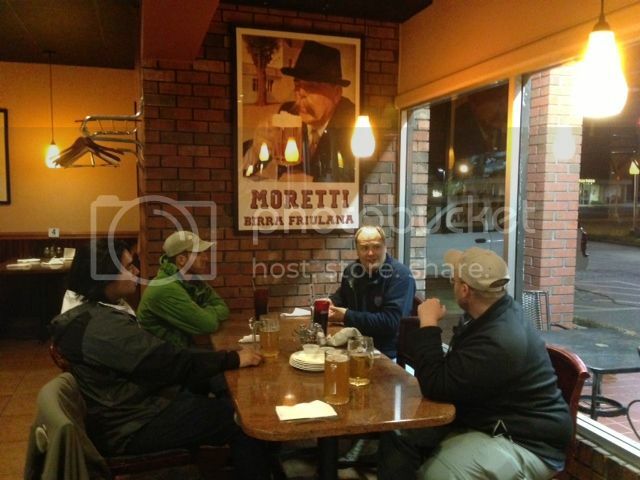 Daniel snapped this shot of me drinking a brew and enjoying some live bluegrass music. 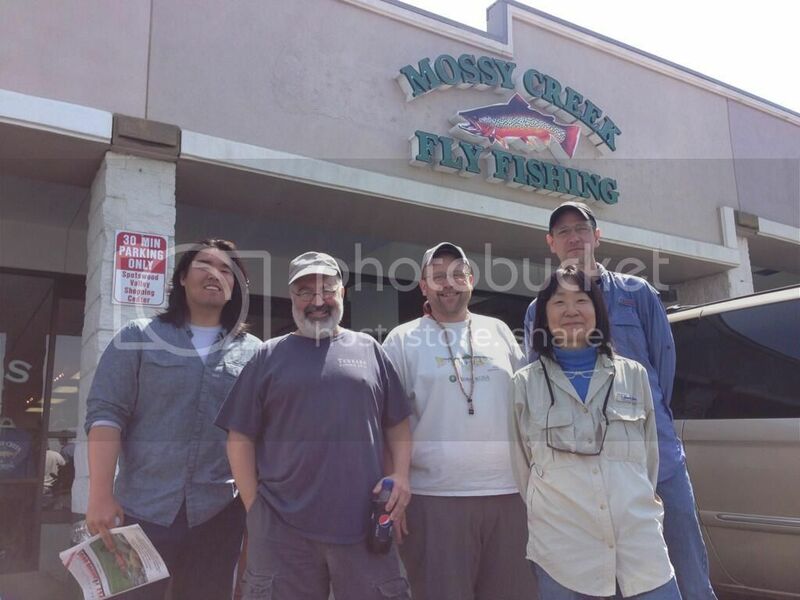 We all went to Mossy Creek Fly Fishing to stock up on tenkara and other fly fishing goodies. I wonder what we can get checked off of you list when you come back to Montana? Have you caught a whitefish? love that you caught a brookie,thank you for sharing your joy! you will have to have one in the driftless area to get a non-hatchery tiger trout. TJ: if it’s a Colorado Summit you can add at least two types of cutthroats to your list. No whitefish yet… Yet. 8-). I need to get one of those brown back super bows though.